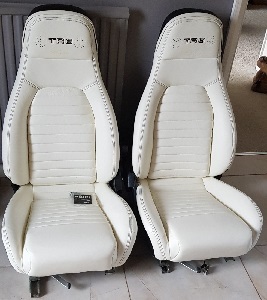 If you've decided to fit the 90-97 Miata seats into your Triumph, MG, Austin Healy, or other import as part of a restoration, you're not the first. Now you can enjoy headrest audio with our Retrofit Kit! 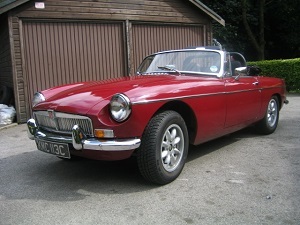 Seats in early classic cars were often pretty crude to start with and many restorers have already discovered that the Miata seats are narrow enough to fit into everything from Spitfires to Spiders. While we can't help you with mounting the actual seat, we can give you great headrest audio. 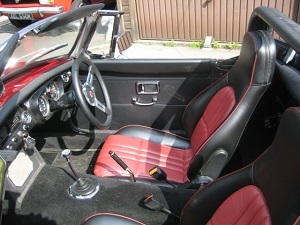 Our Retrofit Kit installs into the Miata 90-97 seats and gives a great audio solution to classic car owners who don't want to drill into their dash or upper door panels to add some speakers. If you're recovering the seats, wiring for the HR speakers is extra easy as there are wire channels molded into the seat foam. And if you've found a set of Miata seats that are in good shape, our Product Manual shows you exactly how to wire up the seats without removing the upholstery. Our kit includes everything you need to retrofit our Millennium-5 headrest speakers into Miata seats that didn't come with factory headrest audio - except for ordinary speaker wire. To help keep costs down we don't include the wire as many Miata seats were wired, but if you need wire and disconnects, we have everything you might need including a compete wiring kit here. 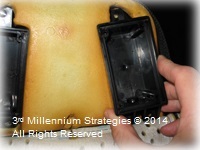 (4) Millennium-5 Miata headrest speakers. The best-selling, best sounding speaker designed specifically for the Miata headrest. Only available from 3rd Millennium! (4) pre-installed crossovers. Installation is plug-and-play! (4) NABX1 headrest speaker boxes. Designed and sold exclusively by 3rd Millennium, these fit the Miata seats exactly like the oem speaker boxes and mount securely in place using the existing mounting locations. A few minutes with a screwdriver is all you need to install our boxes. All 28 mounting screws to properly mount all four boxes and speakers securely and properly. No drilling or cutting required - everything just screws in. A detailed installation guide with numerous full color pictures from a real installation. A car stereo installation professional will find the kit installation very straightforward. Can you install them yourself? If you've ever installed a car stereo and can use basic hand tools you shouldn't have any trouble. You can check out our on-line installation guide to see pictures and a description of the whole process. Of course, we include one of our famous product manuals with actual color photographs and detailed step-by-step instructions. Shipping in the US is via Priority Mail which offers a 2-3 day delivery, a history of safe handling and delivery, and full package tracking. International orders are welcome! We cheerfully ship anywhere in the world via US Postal Service First Class International service which features a 5-10 day delivery time. Please note that any duties or taxes assessed by your country's customs authorities are your responsibility.